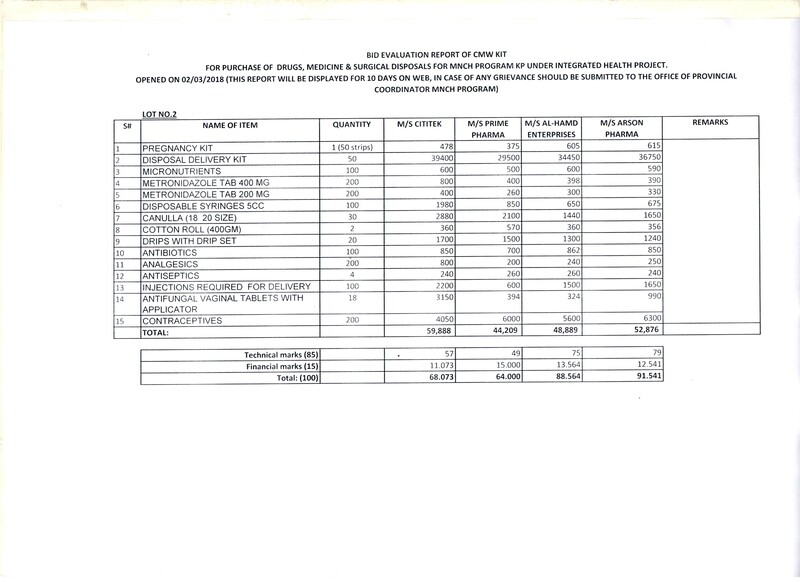 02-October-2018 SBD FOR MACHINERY & EQUIPMENT, FABRICATION OF AMBULANCES WITH AMBULATORY ITEMS, AIR CONDITIONS, INSTRUMENTS & OTHER HOSPITAL SUPPLIES, ETC FOR THE YEAR 2018-19. 19-July-2017 APPROVED RATES OF MEDICINES, SURGICAL DISPOSABLES, MEDICAL DEVICES & OTHER NON-DRUG ITEMS FOR YEAR 2017-18. 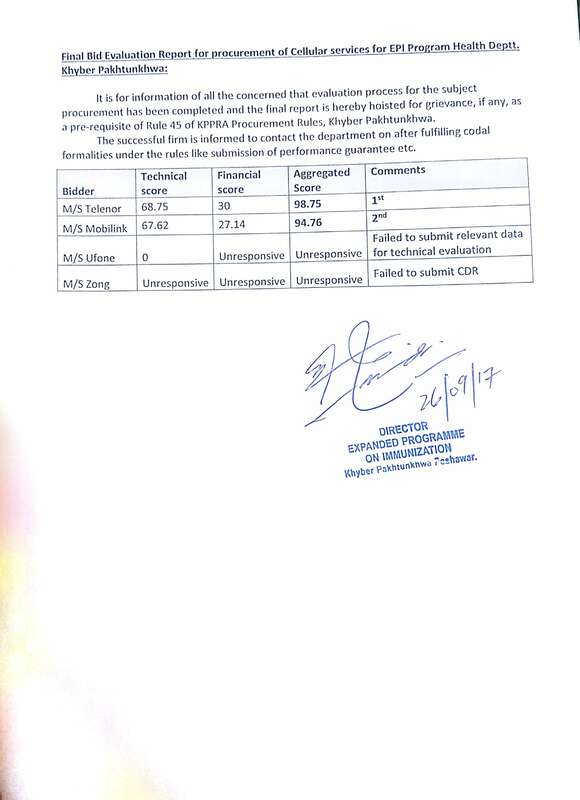 10-June-2017 (Roll Back Malaria) Technical Evaluation of the Responsive Bidder, In IVC/MCP-KP Procurement Process. 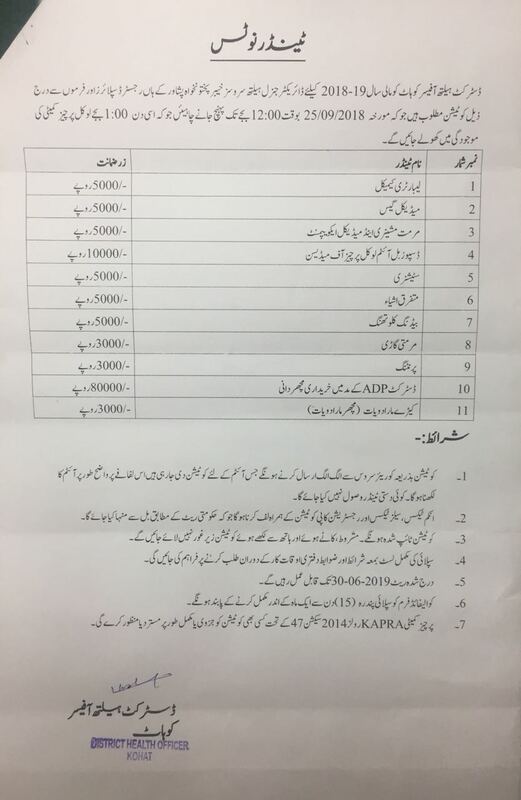 12-May-2017 Procurement of IT Equipments for Procurement Cell, DGHS KP. 26-July-2016Data Regarding 2nd Quarter 2016 has been freezed to prepare 2nd Quarter report. 02-July-2016E-Office will Launched at Directorate very soon, a list of Users / Sections provided to e-office Tech: Team for implementation. 20-July-2016PC-I of DHIS Project Phase II (2016-17 to 2019-20) has been prepared & submitted to department. 20-July-2016PC-IV (Completion Report of the Project) has been submitted. 28-July-2016E-Office Accounts have been created, VPN confguration is carried out for DG, DHS And Director Admin, Training is due. All the Data and Reports on this website have been received from the Health Facilities on Monthly Bases through DHIS District Coordinators and District Health Officers. 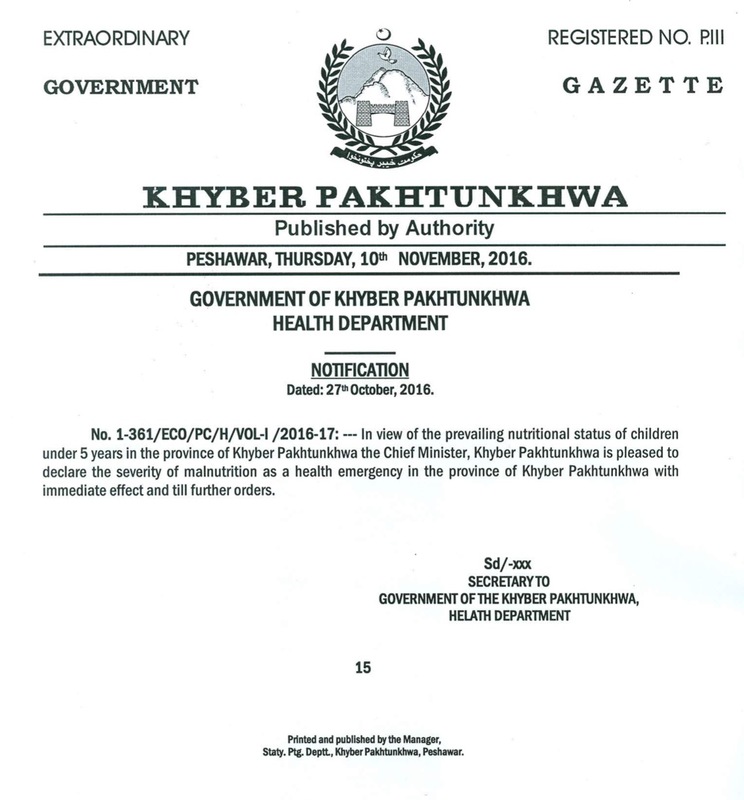 If any error or incompleteness found in the data / report may consider due to the late submission of report from the respective health facilities.